What makes parrots so anxious? Parrots are prey (animals hunted for food by carnivorous animals). Parrots recognize humans as predators (animals that hunt and eat other animals) because we can look at them with two eyes at the same time. When a predator hunts prey, they focus their eyes on the prey to determine how far away it is and what they will have to do to catch it. When a predator stares at prey squarely with both eyes, an instinctive fear response is triggered in the prey. This ancient instinct is telling the prey to get away from the predator. Also, parrots live in flocks. Being prey, gathering in large groups offers safety, as there are many eyes to look out for predators. A parrot’s whole sense of security and even their personal identity revolves around their flock. But we humans don’t buy flocks of parrots. We buy one parrot. We bring that parrot home, put it in a cage that is often too small, and stare at it with our predator eyes. 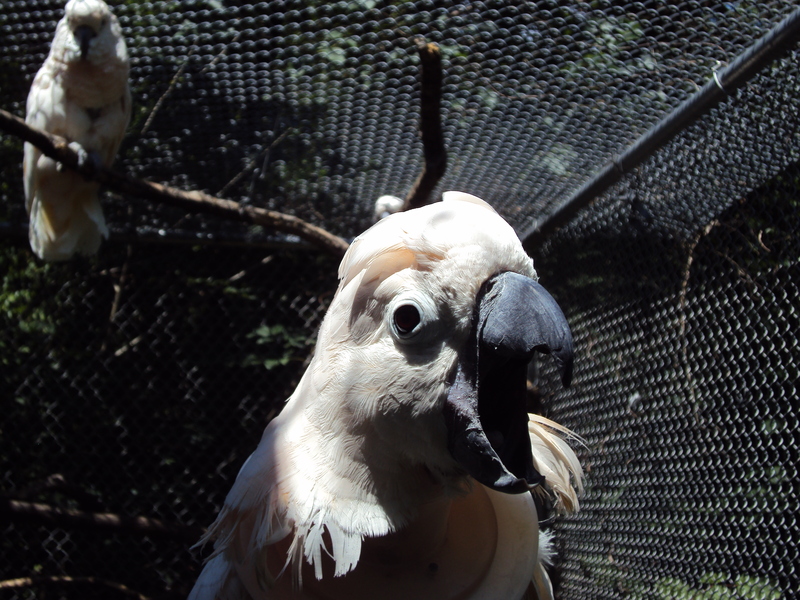 As a result, most parrots in a domestic environment develop anxiety disorders.